Spring may be almost here, but you still need to use your heater. If it has been acting up, don't wait to next fall to have it serviced and repaired. If you put it off, there is a high chance the problem will continue to worsen. If that happens, you may be looking at more expensive repairs or possibly a new heater and installation. A professional heating technician can quickly identify your heating repair problem. According to Belknap Heating and Cooling, your heater doesn't have to stop running for you to recognize there is a problem that needs prompt attention. Older systems need repairs far more often than newer ones. Calling a service technician at the first sign of a problem, the repair will always be less expensive than if you wait. You can also avoid your heater breaking down and even the need for a replacement. If your heater is exhibiting any of the following problems, call a professional immediately. Strange clunking sounds or other noises are coming from your heater. You are experiencing uneven temperatures in rooms, and some are considerably colder than others. There is limited airflow coming through your vents. The heater is cycling off and on almost continuously. Your heater doesn't run long enough to get the house temperature up to the thermostat setting. You are experiencing a steady increase in your utility bills. Your house is very dusty. You are having problems with humidity. All of the problems listed above are symptoms of a heater that need immediate attention. If neglected, the problems will get worse and will be more expensive to repair. If neglected too long, the whole heating system can shut down. According to This Old House, just like you have an annual checkup with your doctor, your heater needs one too. Your furnace should be checked and cleaned by a professional. If annual cleaning is neglected, the heater may wear out, emit deadly carbon monoxide into your house, or simply quit working. 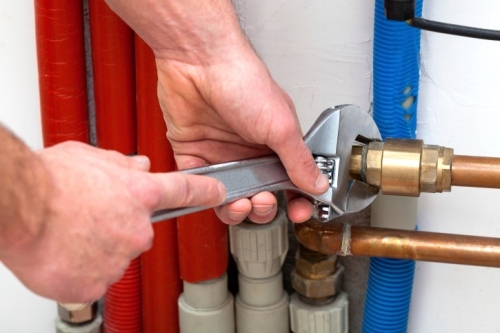 Whether you have a gas system or a forced air system that burns oil, you can’t afford to wait until it breaks down to call in a professional. You can extend the life of your heating unit with an annual service cleaning. When winter cold is here, you can't afford to neglect your furnace. If it hasn't been cleaned for a year or more, make an appointment right away.